The molecular mechanisms underlying insulin resistance in skeletal muscle are incompletely understood. Here, we aimed to obtain a global picture of changes in protein abundance in skeletal muscle in obesity and type 2 diabetes, and those associated with whole-body measures of insulin action. Skeletal muscle biopsies were obtained from ten healthy lean (LE), 11 obese non-diabetic (OB), and ten obese type 2 diabetic participants before and after hyperinsulinaemic–euglycaemic clamps. Quantitative proteome analysis was performed by two-dimensional differential-gel electrophoresis and tandem-mass-spectrometry-based protein identification. Forty-four protein spots displayed significant (p < 0.05) changes in abundance by at least a factor of 1.5 between groups. Several proteins were identified in multiple spots, suggesting post-translational modifications. Multiple spots containing glycolytic and fast-muscle proteins showed increased abundance, whereas spots with mitochondrial and slow-muscle proteins were downregulated in the OB and obese type 2 diabetic groups compared with the LE group. No differences in basal levels of myosin heavy chains were observed. The abundance of multiple spots representing glycolytic and fast-muscle proteins correlated negatively with insulin action on glucose disposal, glucose oxidation and lipid oxidation, while several spots with proteins involved in oxidative metabolism and mitochondrial function correlated positively with these whole-body measures of insulin action. Our data suggest that increased glycolytic and decreased mitochondrial protein abundance together with a shift in muscle properties towards a fast-twitch pattern in the absence of marked changes in fibre-type distribution contribute to insulin resistance in obesity with and without type 2 diabetes. The roles of several differentially expressed or post-translationally modified proteins remain to be elucidated. J. Giebelstein, G. Poschmann and K. Højlund contributed equally to this work. The online version of this article (doi: 10.1007/s00125-012-2456-x) contains peer-reviewed but unedited supplementary material, which is available to authorised users. An erratum to this article can be found at http://dx.doi.org/10.1007/s00125-012-2563-8. Insulin resistance of skeletal muscle is a major metabolic feature in obesity and a key factor in the pathogenesis of type 2 diabetes . The underlying molecular mechanisms are complex and still incompletely understood. Insulin signalling is impaired at several levels [1, 2], but whether these changes are primary or secondary to the metabolic changes remains unclear . Inflammation and cytokine signalling appear to be important, and recent studies have linked insulin resistance with mitochondrial dysfunction. This includes reduced mitochondrial content and in some [2, 3, 4, 5], but not all, studies, reduced mitochondrial functional capacity [2, 4, 6, 7, 8, 9, 10, 11, 12]. While hypothesis-driven investigations have elucidated important details of the complex mechanism leading to insulin resistance, hypothesis-free global approaches such as microarray-based transcriptional profiling or quantitative proteome analysis have the advantage of investigating the whole complexity. Thus, evidence for patterns of changes can be provided and, potentially, new hypotheses generated. The transcriptomic and proteomic approaches are complementary as changes in mRNA levels do not necessarily mirror changes in the abundance of the proteins encoded by these genes, and potentially important post-translational modifications (PTMs) can only be detected by proteomics. There have been several previous approaches to the study of the human skeletal muscle proteome [13, 14] and its alterations in insulin-resistant muscle [15, 16, 17, 18]. Two studies have used the two-dimensional gel approach [15, 16]. Although these investigators described several differences in protein abundance between insulin-sensitive and -insensitive muscle, their studies were somewhat limited by the proteomic technologies available at that time. Thus, lower resolution of the spots, lower sensitivity and/or lower dynamic range of the staining methods and protein identification by matrix-assisted laser desorption/ionisation (MALDI)-time of flight (TOF) MS rather than high-sensitivity HPLC-electrospray ionisation (ESI)-MS/MS (tandem mass spectrometry) made it difficult to detect and identify changes in protein abundance. Moreover, these earlier attempts involved study groups that were less well matched or rather small. Another more recent study investigated muscle from healthy lean, obese non-diabetic and obese type 2 diabetic individuals using one-dimensional gel separation with SDS-PAGE followed by HPLC-ESI-MS/MS-based identification and quantification , and reported significant changes in the abundance of 15 proteins. Within the last years, the combination of two-dimensional differential gel electrophoresis (2D-DIGE) and fluorescence staining of proteins followed by protein identification using high-sensitivity MS/MS methods has proven to be a suitable gel-based method for the quantification of changes in abundance of proteins or patterns of proteins in human tissues and has recently been used to compare the human skeletal muscle mitochondrial proteome before and after endurance exercise training . Here, we applied this technology to investigate alterations of the skeletal muscle proteome in obesity and type-2-diabetes-associated insulin resistance, respectively. Muscle biopsies obtained from healthy lean (LE), obese non-diabetic (OB), and matched obese type 2-diabetic individuals before and after hyperinsulinaemic–euglycaemic clamps were individually analysed. In addition to the comparison of the three participant groups, associations of spot volumes with rates of glucose disposal (GDR) and other variables were explored. Ten LE and 11 OB individuals with normal glucose tolerance and no family history of diabetes, and ten obese individuals with type 2 diabetes were included in the study (Table 1). In the obese type 2 diabetes group, diabetes had been diagnosed for 2.8 ± 0.9 years and was treated by diet alone, sulfonylurea, metformin or human insulin (four, five, one and three participants, respectively). Metformin, sulfonylurea or NPH insulin were withdrawn 1 week before the study, fast-acting human insulin was withdrawn after the last meal the evening before. Patients were GAD-65-antibody negative and without signs of diabetic retinopathy, nephropathy, neuropathy and macrovascular complications. Informed consent was obtained before participation, and the study was approved by the local ethics committee and performed in accordance with the Helsinki declaration. These were performed as described . Briefly, after an overnight fast the participants underwent hyperinsulinaemic–euglycaemic clamps (40 mU m−2 min−1 insulin for 4 h) combined with whole-body indirect calorimetry; GDR, glucose oxidation, lipid oxidation and non-oxidative glucose metabolism (NOGM) were assessed as described [19, 20]. In the obese type 2 diabetes group, plasma glucose was allowed to decline to 5.5 mmol/l before glucose infusion was initiated. Muscle biopsies were obtained from the vastus lateralis muscle before and after the insulin infusion, and were frozen in liquid nitrogen . Samples were homogenised in 2.4 μl (30 mmol/l Tris-base, 2 mol/l thiourea, 7 mol/l urea, 4% 3-[(3-cholamidopropyl)dimethylammonio]-1-propanesulfonate (CHAPS), pH 8.5) per mg tissue, sonicated for 2 × 1 min and centrifuged for 2 × 15 min (16,000 g). After protein determination, supernatant fractions were labelled by adding 1 μl of 400 pmol/μl CyDye (Cy2, Cy3 or Cy5 ‘minimal dyes’; GE Healthcare, Munich, Germany, in dimethylformamide (DMF)) to 50 μg solubilised protein. Following 30 min at 4°C in the dark, reactions were stopped by 1 μl 10 mmol/l lysine. After 10 min ampholine 2-4 (GE Healthcare) and dithiothreitol (1.08 g/ml) were added (both at 1/10 volume of the total volume). Basal and clamp biopsy lysates from individual participants were alternately labelled with Cy3- or Cy5-dyes (colour swap to exclude labelling effects). A standard (mixture of equal protein amounts of all samples) was labelled with Cy2 dye and used to improve the matching of gels and normalisation of individual spotmaps. This was performed as described . Briefly, for every analysis, two samples with different dyes plus standard were combined (3 × 50 μg protein) and separated by carrier ampholyte-based isoelectric focusing, followed by 15.2/1.3% acrylamide/bisacrylamide gels . Images were scanned (Typhoon TRIO-scanner, GE Healthcare, Freiburg, Germany), cropped with ImageQuant (GE Healthcare, Freiburg, Germany) and analysed (spot detection and inter- and intra-gel spot matching) with DeCyder-2D-V6.5 (GE Healthcare, Freiburg, Germany). The estimated spot number was set to 10,000, and spots <20,000 arbitrary units were removed. Two-dimensional gel electrophoresis was performed as described with 50 μg Cy2-labelled plus 200 μg unlabelled standard. Spots were manually picked and in-gel trypsin digested [22, 23]. Tryptic peptides were extracted twice with 10 μl acetonitrile/5% formamide (50/50 [vol./vol.]). Acetonitrile was removed in vacuo, 5% formamide added to yield 20 μl, and nano-HPLC-ESI-MS/MS performed . MS/MS spectra peaklists were generated using DataAnalysis-4 (Bruker-Daltonics, Bremen, Germany). For identification, peaklists were correlated with UniProtKB/Swiss-Prot composite database (release 10.08.2010) using MASCOT algorithm (V2.3.02)  and the ProteinScape (V1.3, Bruker-Daltonics, Bremen, Germany) database. Searches were restricted to human entries and performed with tryptic specificity allowing one missed cleavage and mass tolerances of 0.4 and 0.6 Da for MS and MS/MS experiments, respectively. Cysteine modification with propionamide was considered as fixed and oxidation of methionine as a variable modification. Proteins were assembled based on identifications using ProteinExtractor (V1.0) in ProteinScape and sorted according to identification scores. Each protein was identified with at least two peptides (MASCOT peptide score >20), potential contaminants (keratins 1, 2, 9, 10, 14 and 16, and albumin) were excluded. For identification, a score >50 was required. If more than one protein fulfilled this requirement the protein with highest score was assigned; the others are listed in electronic supplementary material (ESM) Table 1. For detection of phosphorylation or ubiquitinylation, event searches were repeated with additional variable modification settings. Solubilised protein (100 μg) was separated by 10% SDS-PAGE, transferred to polyvinylidene-fluoride membranes and probed with anti-glyceraldehyde-3-phosphate-dehydrogenase (GAPDH) or anti-α-actin antibody (Cell Signaling, Danvers, MA, USA and Abnova, Taipei, Taiwan, respectively). Detection was with IRDye 800CW goat-anti-rabbit-IgG (LI-COR Biosciences, Lincoln, NE, USA) and Odyssey imaging (LI-COR Biosciences). Data analyses were with R (V2.10.1) . Raw spot volumes were first standardised (ratio with the respective Cy2 spot on same gel) and log-transformed as proposed by DeCyder-2D-V6.5. Multiple comparisons were by one-way ANOVA and, if appropriate, subsequent Tukey’s honest test. Paired data were compared with the paired t test. Correlations were analysed by Spearman’s rank-order correlation. Fold differences were calculated based on the difference of their mean log-transformed volumes. Spots that could be reliably measured/quantified in at least five basal and five clamp biopsies per group were selected if: (1) the difference between the highest and lowest mean log-transformed spot volume of the three study groups in basal or clamp biopsies was >0.41 (=1.5-fold difference of untransformed data) and p was <0.05; (2) basal and clamp biopsy spot volumes correlated with clamp GDR (p < 0.05) or at least one other variable listed in ESM Table 2 (p < 0.02); or (3) the difference between log-transformed volumes of basal and clamp biopsies was >0.41 (1.5-fold difference of untransformed data) in at least one study group, and p < 0.05. The OB and obese type 2 diabetes study groups were well matched with respect to BMI, and all study groups were well matched with respect to age (Table 1). Clamp GDR was lower in the OB than in the LE group and again lower in the obese type 2 diabetes group than in the OB group. Differential volumes between the three study groups were displayed by 44 protein spots (Table 2; ESM Table 3). Some proteins were identified in multiple spots, suggesting PTMs. This was found, for example, for glycogen phosphorylase, muscle form (PYGM), GAPDH, myosin regulatory light chain 2, ventricular/cardiac muscle (MYL2), β-enolase (ENO3) and myosin regulatory light chain 2, skeletal muscle (MYLPF) with four, eight, seven, three and four spots, respectively (Fig. 1; Table 2). Moreover, PYGM, MYL2 and MYLPF represent examples where different spots with the same protein displayed opposite changes in abundance between groups. Thus, in basal biopsies, the volume of PYGM in spot 453 was higher in the obese type 2 diabetes and OB groups compared with the LE group, whereas the volume of PYGM in spot 450 was highest in the LE group (Fig. 2), suggesting a shift in the abundance of PTMs. In addition, our data suggest that PYGM in spot 453 was phosphorylated at Ser15, and that the PTMs in MYL2 and MYLPF included serine phosphorylations and ubiquitinylations (Table 2). Muscle samples were subjected to 2D-DIGE, spot volumes determined and spots chosen for subsequent identification as described. Shown are ratios of spot volumes between groups calculated based on the difference of mean log-transformed spot volumes. Listed are only spots with significant differences and spots with proteins where other spots with the same protein were significantly different. As for PYGM spots 450 and 453 (Fig. 2), differences between groups tended to be smaller in clamp than basal biopsies, resulting in 21 compared with 33 significantly different spots between groups, respectively (Table 2). Apart from this observation, results in clamp and basal biopsies from the same individuals were fairly concordant and thus served as an internal control (Fig. 2; Table 2). Differences in spot volumes were most pronounced between the obese type 2 diabetes and LE groups (significant in 29, 10 and five spots from basal, clamp or both basal and clamp biopsies, respectively; Table 2). Almost the same differences were observed between the OB and LE groups (significant in 23, 12 or six spots from basal, clamp, or both basal and clamp biopsies, respectively). Accordingly, only a few spots displayed substantial differences between the obese type 2 diabetes and OB groups. Differentially expressed proteins comprised enzymes of glucose metabolism, mitochondrial proteins, sarcomeric proteins and proteins with other functions. With respect to glucose metabolism, mean volumes of 17 of 17, or 16 of 17 spots in basal or clamp biopsies, respectively, assigned to the glycolytic enzymes GAPDH, phosphoglycerate mutase-2 (PGAM2), ENO3 and pyruvate kinase (PKM2) were higher in the obese type 2 diabetes and OB groups than in the LE group, and differences between groups were significant in eight (basal biopsies) or seven of these spots (clamp biopsies). As GAPDH, ENO3 and PKM2 were identified in multiple spots, we analysed whether the sums of volumes of all identified spots with the respective enzyme (addition of raw spot volumes before analysis) were different. This revealed that, in addition to the single spot with PGAM2, these summative spot volumes were different between groups for GAPDH (LE −0.07 ± 0.10, OB 0.17 ± 0.08, obese type 2 diabetes 0.20 ± 0.06, p < 0.05, corresponding to ratios of OB/LE 1.27, obese type 2 diabetes/LE 1.31, and obese type 2 diabetes/OB 1.03) and ENO3 (LE −0.42 ± 0.13, OB 0.00 ± 0.08, obese type 2 diabetes 0.04 ± 0.08, p < 0.05, corresponding to ratios of OB/LE 1.52, obese type 2 diabetes/LE 1.47, and obese type 2 diabetes/OB 0.96), whereas for combined PKM2 spots differences were NS. GAPDH levels were also analysed in a western blot. Although, in contrast to the proteome data, differences were NS, a similar tendency was confirmed (Fig. 3). In contrast to glycolytic enzyme spots, spots with Δ(3,5)-Δ(2,4)-dienoyl-CoA isomerase (ECH1) an enzyme involved in fatty acid oxidation, and two mitochondrial proteins, NipSnap-homologue-2 (GBAS), and ES1 protein homologue (HES1) tended to be less abundant in obese type 2 diabetes and OB (Table 2). Moreover, multiple spots containing the fast muscle proteins myosin light chain 1 (MYL1), MYLPF, or fast skeletal muscle troponin-T (TNNT3) were upregulated, whereas spots containing the slow-muscle proteins MYL2, myosin light chain 3 (MYL3), or slow skeletal muscle troponin-T (TNNT1) were downregulated in OB and/or obese type 2 diabetes groups compared with the LE group. If summative volumes of all spots containing the respective enzymes were analysed as described above, these were higher in the OB and obese type 2 diabetes groups than the LE group for MYLPF (p < 0.05, ratios OB/LE 1.50, obese type 2 diabetes/LE 1.85, obese type 2 diabetes/OB 1.23), and TNNT3 (p < 0.05, ratios OB/LE 1.41, obese type 2 diabetes/LE 1.46, obese type 2 diabetes/OB 1.04) and lower in the OB and obese type 2 diabetes groups than the LE group for MYL3 (ratios OB/LE 0.67, obese type 2 diabetes/LE 0.52, obese type 2 diabetes/OB 0.78). Differences of summative spots containing MYL1 or MYL2 were NS. Although mean clamp GDRs were significantly different between study groups, individual values overlapped (Fig. 4). To identify additional proteins that might be more strongly related to GDR or other variables than to the multifactorial type 2 diabetes or obesity state, we analysed correlations of spot volume data of all study participants with GDR and other variables. For example, volumes of spot 1458 (GAPDH) correlated negatively with clamp GDR and glucose oxidation, but positively with clamp lipid oxidation (Fig. 4). Similar negative correlations with clamp GDR, NOGM and glucose oxidation, but positive correlations with lipid oxidation, were found in basal biopsies for almost all spots with identified glycolytic or fast-muscle proteins, whereas opposite correlations existed for most spots with tricarboxylic acid (TCA) or respiratory chain enzymes, or slow-muscle proteins (Fig. 5; ESM Table 2). Data were similar in clamp biopsies, except that fewer correlations were statistically significant (ESM Table 2). The same correlation pattern as with single spot volumes was also observed for summative volumes of multiple spots with the same identified protein. Thus, for the glycolytic enzymes GAPDH and ENO3, and the fast-muscle proteins MYLPF and TNNT3, these summative volumes in basal biopsies correlated negatively (p < 0.05) with clamp GDR.In most cases, they also correlated negatively with clamp NOGM and glucose oxidation, and positively with clamp lipid oxidation. Correlations were opposite for mitochondrial proteins aconitate hydratase (ACO2), ATP subunit-α (ATP5A1), ATPase subunit-β (ATP5B) and GBAS, and the slow-muscle protein MYL3 (ESM Table 4). Several spots displayed different volumes between basal and clamp biopsies (Table 3). These proteins included the sarcomeric proteins actin, α skeletal muscle (ACTA1), tropomyosin α-1 chain (TPM1), MYL1, MYL3 and myosin heavy chain 2 (MYH2), and the mitochondrial proteins ATP5A1 and trifunctional enzyme subunit-β (HADHB). Skeletal muscle insulin resistance is critical to the pathogenesis of type 2 diabetes and obesity. Here, we investigated with the sensitive 2D-DIGE proteomic approach whether changes in abundance of proteins or patterns of proteins in biological pathways could contribute to these forms of insulin resistance. A major observation of our analysis is that spot volumes related to multiple glycolytic proteins were higher in OB and obese type 2 diabetes groups than in the LE group, and/or correlated negatively with clamp GDR (Figs 5 and 6). This suggests that upregulation of glycolysis by increased enzyme abundance could be a major characteristic of insulin resistance. In particular, spots containing GAPDH, PGAM2 and ENO3 were increased in obese and/or diabetic individuals. All five spots containing PKM2 also tended to be higher in obese type 2 diabetes and OB, but although the difference was significant in one spot, the difference in overall abundance did not reach statistical significance. Most spots containing glycolytic enzymes correlated also significantly negatively with clamp GDR and glucose oxidation, and positively with clamp lipid oxidation. In contrast to glycolytic proteins, proteins involved in the TCA cycle, mitochondrial respiration and other mitochondrial functions appeared less abundant in insulin resistance. In basal biopsies, 14 of 21 spots identified as proteins involved in these processes correlated positively (p < 0.05) with clamp GDR and/or NOGM. Moreover, significant positive correlations were also observed for summative spot volumes (sum of volumes of all spots with the same identified protein) relating to cytoplasmic malate dehydrogenase (MDH1), an enzyme controlling TCA cycle pool size and providing contractile function , and the mitochondrial enzymes ACO2, ATP5A1, ATP5B and GBAS. These results, suggesting reduced TCA cycle and mitochondrial protein content in insulin resistance, are consistent with previous findings of reduced enzyme activities [10, 28, 29], protein expression [16, 17, 30], altered phosphorylation [16, 31, 32], altered transcript levels [10, 33, 34] or altered flux through mitochondrial ATP synthase . Taken together, our observations of increased glycolytic and decreased TCA cycle or mitochondrial protein content in insulin resistance (Figs 5 and 6) support the hypothesis that altered glycolytic and oxidative capacities contribute to its phenotype. Although the mitochondrial content and dysfunction in insulin-resistant states has been studied extensively [2, 3, 4, 5, 6, 7, 8, 9, 10, 11, 12, 32, 35, 36], few data exist about the potential role of glycolytic enzymes in insulin resistance. Consistent with increased glycolytic enzyme activity in insulin resistance are previous findings that the ratio between glycolytic (phosphofructokinase, GAPDH, hexokinase, PYGM) and oxidative enzyme activities (citrate synthase, cytochrome oxidase) was negatively correlated with insulin sensitivity , and that phosphofructokinase activity decreased upon 10% weight loss in obese individuals . In contracting muscle, factors related to the energy state appear to control glycolysis , and therefore impaired mitochondrial function with less energy production could be responsible for increased glycolysis and, potentially, glycolytic enzyme abundance. Conversely, increased glycolytic enzyme levels and activity under basal conditions could result in substrate overload for the mitochondria, contribute to ‘metabolic inflexibility’ in insulin resistance, i.e. a reduced ability of skeletal muscle to switch from fatty acid oxidation in the fasting state to glucose oxidation in the insulin-stimulated state and back , and may dispose skeletal muscle towards lipid accumulation [7, 39]. In our analysis, several proteins were identified in multiple spots. For example, the key glycogenolytic enzyme PYGM was found in four spots, one of which was increased in OB and obese type 2 diabetes (spot 453), while another was reduced in obese type 2 diabetes (spot 450). Moreover, at least in LE individuals, spot 453 and 450 tended to be increased and decreased, respectively, by the clamp. These data suggest a shift in abundance between two differently post-translationally modified PYGM proteins that may have different properties. Interestingly, spot 453 contained PYGM phosphorylated at Ser15, which results in activation . Although glycogen synthase has extensively been studied in insulin-resistant skeletal muscle in the past years, less information is available about PYGM. The notion that the observed shift between spot 450 and 453 might be associated with higher activity of the enzyme in insulin resistance is, however, not supported by previous studies. Thus, activity of PYGM was not found to be different in muscle from obese individuals with type 2 diabetes [11, 41] or regulated by changes in glucose or insulin levels . On the other hand, lack of PYGM activity is associated with insulin resistance . In any case, regulation of PYGM by PTMs might be quite complex. For example, three other phosphorylation sites of PYGM have recently been detected . Activating and deactivating modifications may therefore counterbalance and thus ensure a normal glycogenolysis in insulin-resistant muscle under basal conditions. This balance may be disturbed, for example, in hypoglycaemia, where PYGM activity increased by 50% only in those with type 2 diabetes and not in control participants . GAPDH was found in eight spots in our study, suggesting PTMs, and in fact one spot (1461) was detected as being phosphorylated. Multiple PTMs of GAPDH have also been described in a recent analysis in GAPDH-overexpressing human embryonic kidney cells, including deamidation, methylation, methionine oxidation and phosphorylation . In our study, all eight GAPDH spots had higher mean volumes in obese participants with type 2 diabetes and OB individuals compared with LE participants, and this was significant in five spots. Consistently, western blots revealed a tendency of increased GAPDH protein abundance in these states. As no substantial differences between the different GAPDH spots were found regarding their volume ratios between groups or following insulin stimulation, it is not possible to conclude from our data that the underlying PTMs are relevant for causing insulin resistance or are modified by insulin. As skeletal muscle contains type I (slow oxidative), IIa (fast oxidative glycolytic) and IIx (fast glycolytic) fibres [3, 35, 36], altered fibre type distribution could have contributed to our results. Type I, IIa, and IIx fibres contain MYH7, MYH2 and MYH1, respectively . In our study, no spots containing MYH7, MYH2 and MYH1 were identified as different between groups or correlated to variables of insulin resistance, and MYH2 was only identified because of a difference between clamp and basal biopsies. This argues against a major role of differences in fibre-type distribution. In contrast to heavy chains, marked differences between groups were observed for other sarcomeric proteins. Most spots of fast myosin light chain isoform MYLPF and all spots of the fast-muscle protein TNNT3 were upregulated in OB and/or obese type 2 diabetes groups, and upregulation was also confirmed if all identified spots containing one of these proteins were combined before analysis. Conversely, combined spots of the slow myosin light chain isoform MYL3 were downregulated. Combined spots were not different between groups for MYL1 or MYL2, but the marked differences in individual spots suggest a role of differential PTMs. Taken together, our data thus support the notion that in OB and obese type 2 diabetic individuals muscle properties are shifted to a fast-twitch glycolytic pattern in the absence of marked changes in fibre-type distribution. The absence of marked changes in fibre-type distribution in OB and obese type 2 diabetic participants is also supported by several [3, 35], but not all , previous studies. The fact that only a few spots displayed differences following insulin stimulation may be explained by the relatively short time for changes in protein expression or PTMs. Spot volumes related to PYGM and ATP5A1 tended to be lower in the clamp biopsies. Stronger changes were found in sarcomeric proteins, including insulin-stimulated upregulation of ACTA1, MYL1 and MYL3, and downregulation of MYH2 spots. These changes may largely be due to phosphorylations [31, 46] and/or other PTMs. Insulin elicits rapid dynamic remodelling of actin filaments, and this is necessary for GLUT4 translocation [47, 48]. MYH2 phosphorylation has been implicated to participate in GLUT4 storage vesicle translocation . Taken together, these data support the notion that insulin actions include alterations of proteins involved in contraction and/or intracellular transport. More differences in spot volumes were found between the OB and LE groups than between the obese type 2 diabetes and OB groups. 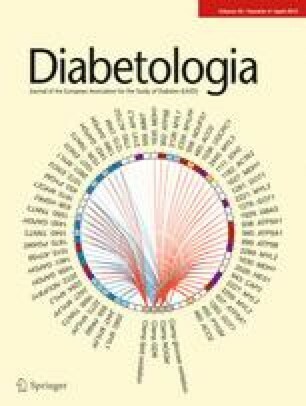 This suggests that while obesity and the obesity-related insulin resistance is associated with altered expression of more abundant proteins and/or their PTMs, the additional reduction in clamp GDR in obese type 2 diabetes was mainly associated with changes of less abundant proteins, e.g. signalling intermediates that were not detectable by the proteomic approach. The fluorescence labelling method used here has recently been applied to analyse the mitochondrial skeletal muscle proteome after endurance exercise training , but has so far not been applied to compare the muscle proteome of LE with OB or obese type 2 diabetic individuals. It has a higher sensitivity and a more dynamic range compared with the methods used in previous studies [15, 16]. Nevertheless, of the 36 spots relating to 20 proteins found significantly different by >1.5-fold between the groups in our study, several have also been identified in these previous two-dimensional-gel-based studies. This includes six from 13 proteins identified as different in a study with lean, obese and morbidly obese participants , and four from eight proteins identified as different in our own previous investigation with type 2 diabetic and control individuals . Thus, these two-dimensional-gel proteomic studies delivered largely consistent findings. Another recent study used one-dimensional SDS-PAGE and label-free MS/MS-based identification and quantification . Of 92 proteins increased more than twofold and of these, the 15 significantly different between OB and/or obese type 2 diabetic and LE participants in that study, only six and one, respectively, were also identified by us. This is potentially explained by the different method, in which quantification is based on peptide abundance rather than whole-protein abundance, and PTMs are not detected. In summary, we have shown in human skeletal muscle that insulin resistance in obesity is associated with different expression and/or PTMs of multiple proteins and that the increased abundance of glycolytic enzymes and the decreased abundance of mitochondrial proteins appear to be part of its phenotype. In addition, our data suggest that this is accompanied by a shift in abundance from slow to fast myosin light chain isoforms in the absence of detected changes in myosin heavy chain isoforms, consistent with a shift of muscle properties towards a fast-twitch glycolytic pattern without marked changes in fibre-type distribution. Fewer differences were found between obese diabetic and OB than between LE and obese individuals, suggesting that the additional type-2-diabetes-associated insulin resistance is largely related to other mechanisms such as signalling events not detected by the method. Compared with focused biochemical data, the changes in protein abundance and PTMs observed in multiple pathways add information on how these interact in insulin resistance. The roles of several of the differentially regulated proteins remain to be elucidated. We acknowledge L. Hansen, C. B. Olsen, K. Pfeiffer, S. Link and C. Fischer-Lahdo for skilled technical assistance. The study was supported by grants from the Forum programme at Bochum University, the German Diabetes Association, the Danish Medical Research Council, and the Excellence Grant 2009 from the Novo Nordisk Foundation. KH, WS, KL, HB-N, KS, HEM and HHK conceived and designed the study. JG, GP, KH, KL, KS and WS performed the experiments. JG, GP, KH, JWD, KL, KP and HHK analysed and interpreted the data. JG, GP, KH and HHK drafted the manuscript and all authors revised the manuscript for intellectual content and approved the final version.